Pumpkin spice everything is taking over as it does each fall, and that includes our slime making endeavors. 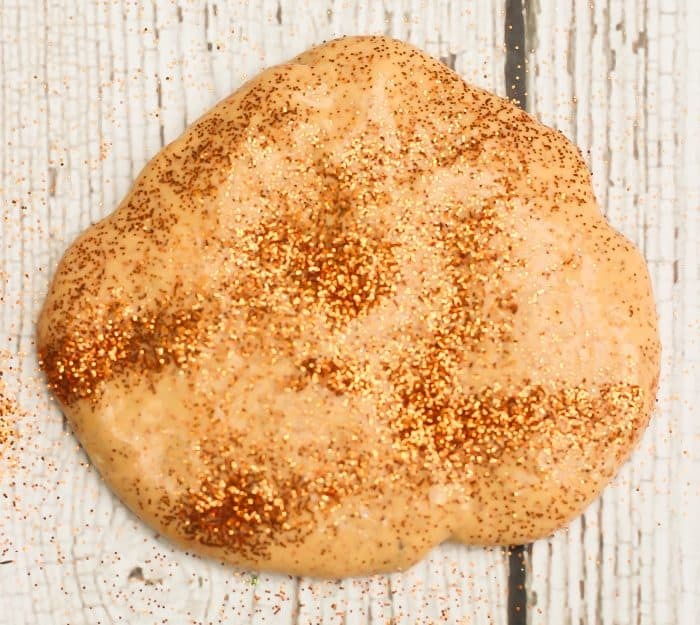 This Pumpkin Spice Slime is is a fragrant way to play! I took two of my favorite fall essential oils for the diffuser and combined them into slime to make for a multi-sensory playtime experience for the kids. They are somehow both sensory seeking and sensory avoiding depending on the stimulus so this was a big hit for Sweet T on touch and smell, but just the smell part for Gus. Don’t come near him with anything sticky! 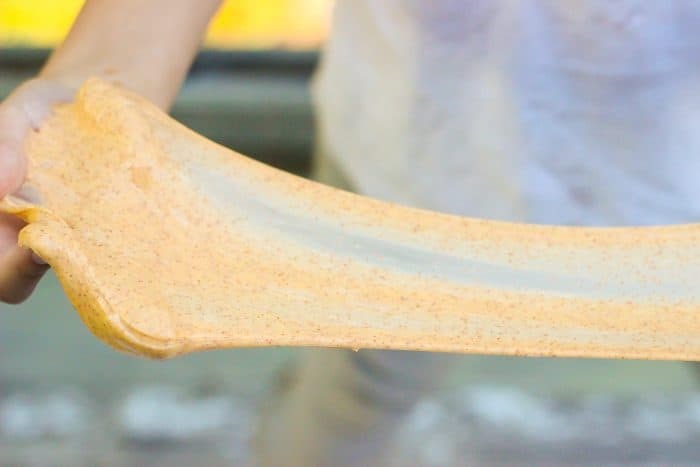 Clear School Glue – You’ll want the gallon size because once you see how easy it is to make this pumpkin pie slime, you’ll be wanting to experiment will all sorts of slime making techniques and styles. Liquid Starch – You can find this in the laundry section of any big box store, grocery store, or on Amazon. *Yes, I’m an avid Young Living user. You may not be (yet *wink*) and that’s ok, but for the love of all things holy do not use crappy “essential oils” that you find at Walmart or Target or Kirklands, etc. 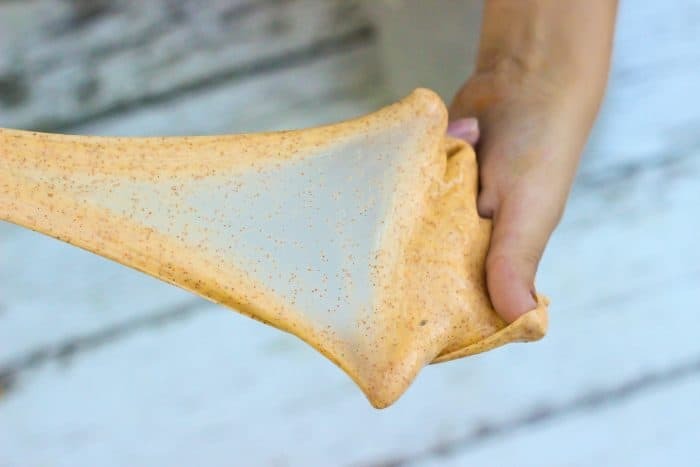 You might as well by artificial fragrance to put in this slime for your children to touch and handle and play with (which I will not judge you for, but at least know that that’s what you are getting!) I hate to see people swindled into buying essential oils that contain very little plant matter and a whole lot of fragrance unless they are aware of the fact and they are OK with it. End rant. If you want more rant, click here. Now onto our Pumpkin Pie Slime! This is just the basic, borax free slime recipe that I always use, only instead of using regular school glue, we used clear school glue. It’s pricier but gives you a different look so you have more slime-making options. You can purchase clear school clue from Amazon, or get it at your local craft store with a coupon for about the same price. That’s really it! If you need more details, check out our basic slime recipe on the spider Halloween slime post or see the recipe card at the end of this post for tips and tricks to get your slime just right. It really is soooo simple so don’t let the process intimidate you like it intimidated me for so long! And fragrant of course thanks to Young Living Essential Oils. Do you like to play with slime with your kids? I LOVE it, but Hubs is bothered by the texture. I guess Gus comes by it honestly! 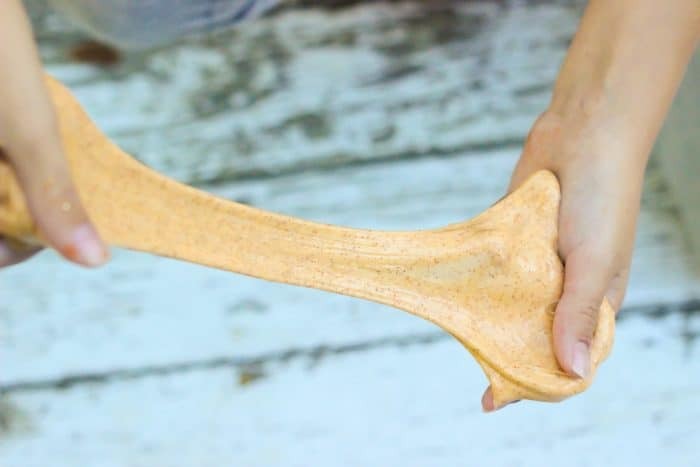 So what is so special about putting Young Living Essential Oils into this slime? 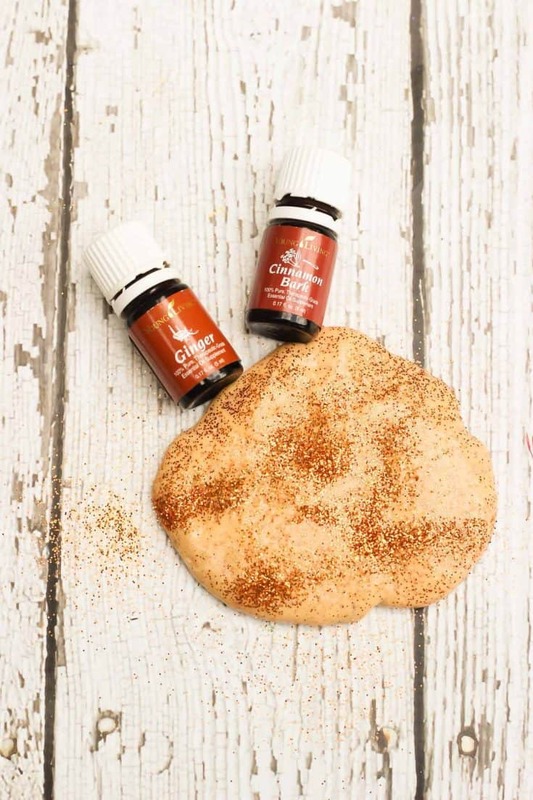 Let’s take a look at the properties and benefits of both Ginger and Cinnamon Bark essential oils (besides just the amazing fragrance of course) for the Pumpkin Pie Slime that you are making with your kids. Think backseat on a road trip…bleck! Cinnamon Bark essential oil’s warm and comforting aroma exudes a familiar scent from the naturally occurring constituent cinnamaldehyde. Cinnamon Bark plays an integral role in our proprietary, top-selling Thieves® essential oil blend, where it is combined with Clove, Lemon, and other essential oils for a signature aroma. There’s no doubt that Cinnamon Bark is a favorite during the winter seasons, as its sweet and spicy scent evokes memories of the holidays. For a festive note, diffuse Cinnamon Bark with Frankincense, Orange, Tangerine, Clove, or Nutmeg. Gosh, I didn’t even think to at Nutmeg too which I totally have! 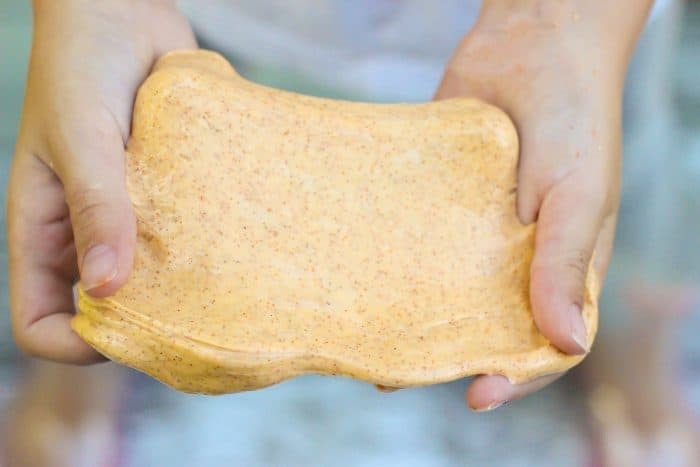 If you decide to use Young Living Nutmeg essential oil in your pumpkin pie slime, let me know how it turns out.